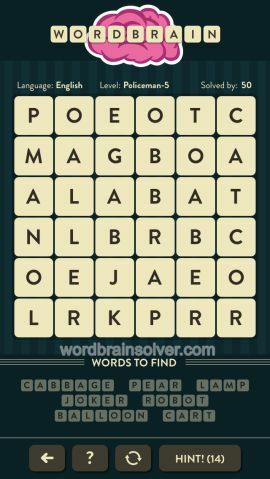 Wordbrain Policeman Level 5 Answers and Solutions. Should be PEAR instead of FEAR. There is no letter f in this puzzle.